Accepting the fact that your child will spend some time living without you is probably the most difficult aspect of every divorce. This especially goes for a non-custodial parent, which is usually a father. The custodial parent is the parent with whom the child lives the majority of the time and who gets the most time with the kid. This is usually the mother. Thus non-custodial parent will be your ex-husband. The mere fact that it is the ex-husband encapsulates the biggest problem. A child needs to grow to have both parents present in his life and both parents, regardless of the disputes and bad blood between them, have to find the way to make this workout. Unless the family law court orders otherwise, neither parent has right to restrict the other one from seeing the kid. This is something a single mom should keep in mind, no matter how battered you are or angry at your ex. It’s extremely hard sometimes, but you have to put yourself in the position of your child and think solely about that. On the other hand, fathers might try to withhold the child longer than the court has allowed them, due to their feeling of unfair division of visitation time or any other similar feeling. 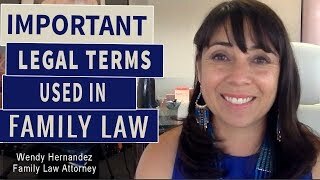 These are just some of the potential emotional and legal issues that commonly emerge when it comes to settling child visitations, thus hiring experienced and professional family law attorney, who would specifically analyze your case within the borders of family law is essential and the best way to easy solution. When trying to determine the best visitation schedule, family law court will consider the best interest of the child, and many more aspects are striving to ensure that both parents are involved in kid’s life and particularly big decisions. This goal remains the same, whether divorce is settled at joint or sole custody. However, over two decades of my career as a family law counselor and attorney, I’ve seen too many attempts of abusing of determined visitation schedule from one parent or the other and I still strongly suggest involving a professional to ensure just and the least painful organization. What If The Child Refuses Visitations To The Other Parent?